A review of some of the products available to prevent the desiccation and potential death of your plants whilst you are away on your summer holidays. In the weeks and months leading up to the peak summer holiday season many keen gardeners spend hours toiling over their plants and gardens before they go away on vacation. It can be so disappointing to return from your summer holiday to find that all of your hard work has been in vain, your plants are more than thirsty, are perilously close to permanent wilting point and some have made their way to the garden in the sky. If you don’t have a reliable, friendly green-fingered neighbour, friend or relative to rely upon for watering duties whilst you are away, what are your options to keep your plants well watered for a week or two in your absence? 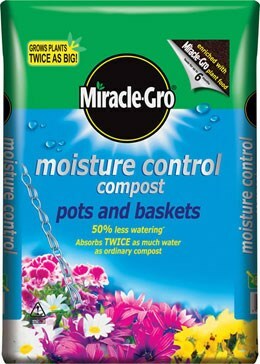 This compost is specially formulated to absorb twice as much moisture as standard multi-purpose compost. Therefore it dries out far less quickly whilst you are away giving your plants a better chance of survival. 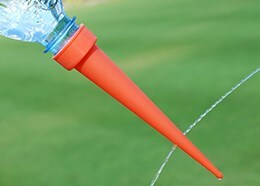 These simple water spikes can be screwed on to industry standard soft drinks bottles. Fill the bottle first, screw on the spike and then poke into the compost or soil. The idea being that water is directed to where it is really needed in the root zone, reducing the water volume on the compost/soil surface and therefore reducing wasteful evaporation. Ideal for when you go away on a short break or long weekend, the drip flow rate can be adjusted so that the water lasts for days at a time whilst you are away. These water storage granules absorb up to 400 times their own weight in water. Mix them in the compost when planting containers, hanging baskets or window boxes or into the planting hole when planting in the open ground. These could prove invaluable when you go away on your summer vacation because they reduce the need for watering by up to 75%. This sophisticated yet easy to operate water timer can be linked to irrigation systems, garden hoses etc. It comes with a rain sensor that will trigger any active programme to stop if rain is sensed, which is a great water saving feature. An easy to use interactive screen allows you to set watering times before you go away on holiday. 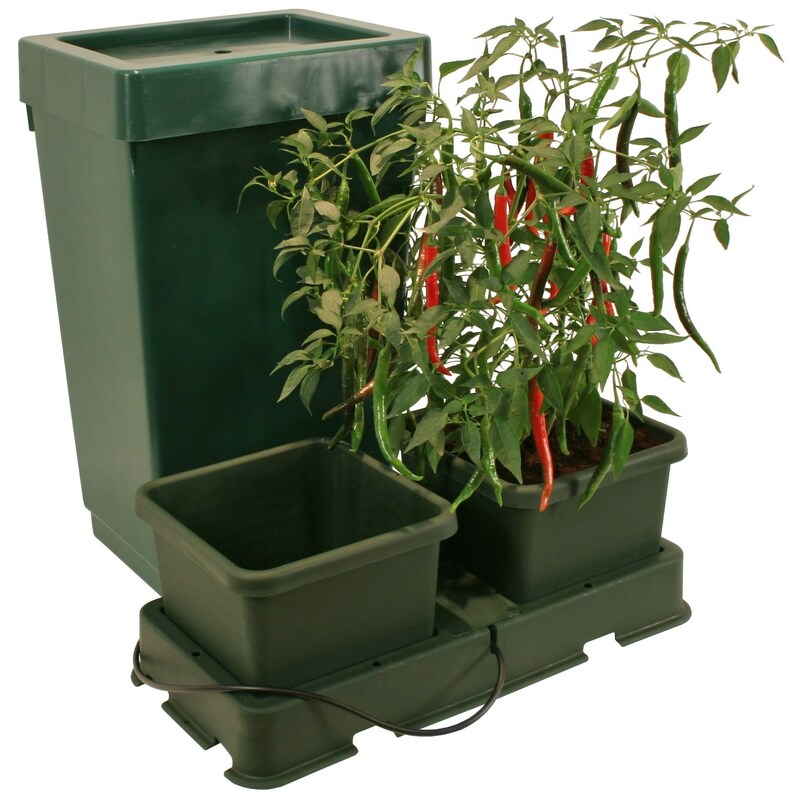 This is a gravity fed feeding and watering system. Consists of a large water reservoir that you top up every few weeks with water and liquid feed. Once the reservoir is full, no manual watering should be necessary for at least two weeks. Pipes connect the reservoir with the pots via a basal tray and the plants soak up the water and liquid feed as they need it. 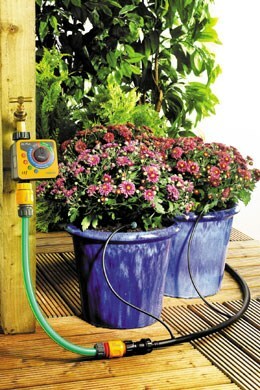 This porous hose could be fitted to a water timer to come on periodically whilst you are away. Stretch around borders and your most valuable plants before you go. 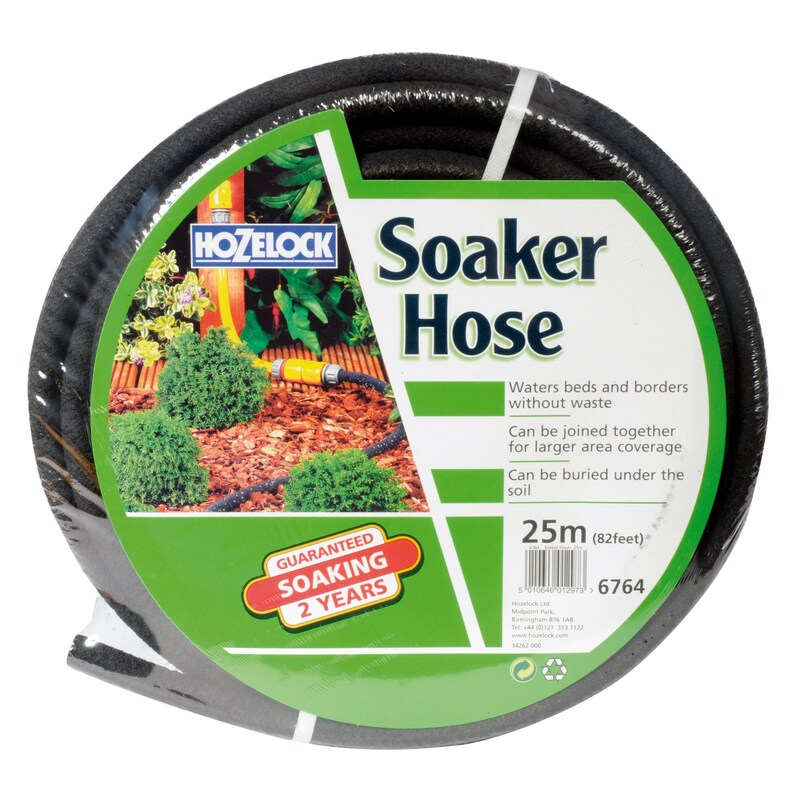 If the lawn is the priority in your garden, this perforated hose looks ideal for keeping the turf green whilst you are away. Fit it with a water timer and the fine spray emitted once or twice a day for a few minutes should be enough to prevent that parched look on your return. This irrigation system can be set up with a water timer to come on periodically whist you are away. A main hose with lateral pipes that connect to up to 20 small containers, 10 large containers or spread around a 5m x 2m border. Alternatively, if you want to reduce the need for watering whilst you are away have a look at the wide range of plants in our Drought Tolerant section. Published on 24 Jul 2010 and Filed under Irrigation.